KIWA has played an active role in the ICE Out of LA Coalition, a group that grew out of the collective efforts of multiple organizations and partners while advocating for the passage of the TRUST Act. KIWA has organized its members for public demonstrations and direct actions, as well as on advocacy and education vis-à-vis decision-makers. As a result of the coalition’s efforts, LA Mayor Eric Garcetti and the LAPD Chief of Police recently announced that they will no longer honor ICE holds. KIWA is actively engaged in efforts for comprehensive immigration reform, and, in the meantime, administrative relief. 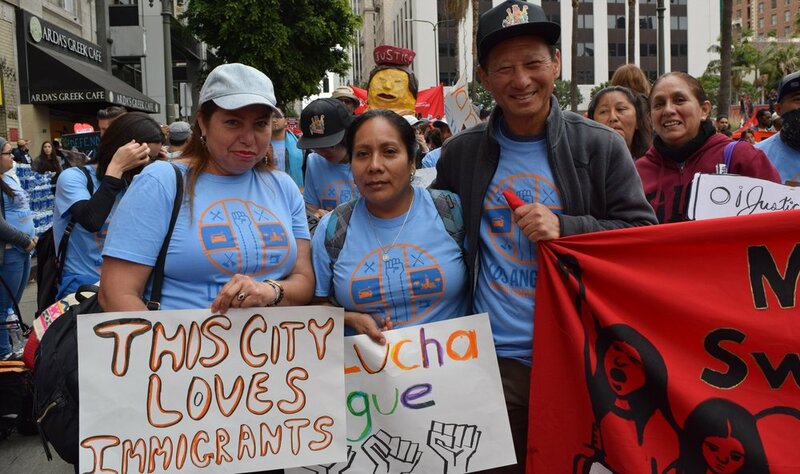 In addition to citizenship for undocumented Americans, we advocate for stronger worker protections in immigration policy through city, statewide, and national networks. We have worked for years to bring about more just immigration policies by participating in public demonstrations and actions, advocacy at the city and state level, and research.